When I worked in Ann Arbor, a lot of us from the office could be found at the Café Habana restaurant around the corner with pitchers of their sangrias dotting the table. This was, I’ll have you know, when the restaurant was still on Washington Street, before the Parthenon closed and Habana relocated to their Main Street space. I think the allure of sangria lies in that you not only get a cocktail, but also a little fruit salad—and not to mention, for those in their early twenties, there is an air of sophistication in drinking a glass of wine. 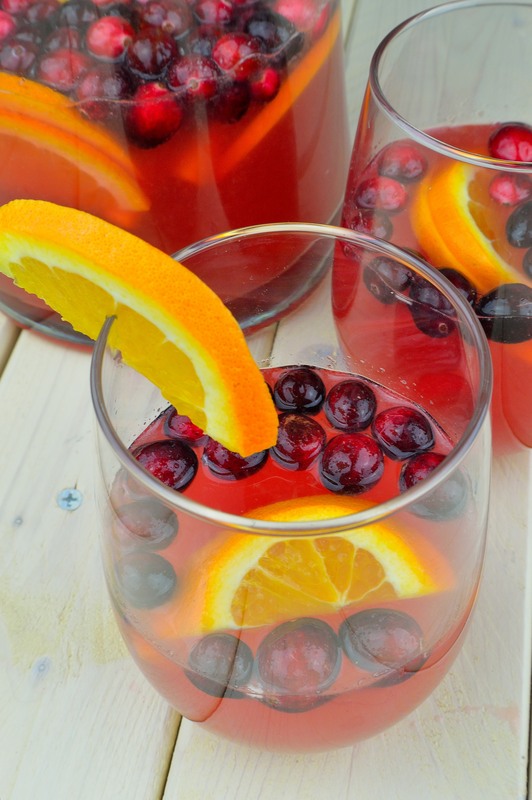 Usually sangria is red wine, sliced oranges, chunks of apple, brandy, a little sugar or honey, and some spices. That’s the basic blueprint, and from there you can start swapping out different ingredients. I tend to think that the simplest sangrias are the best, though. Some restaurants or recipes include things like using orange, lemon, and lime juice; a myriad of fruits, liquors or liqueurs; lemon-lime soda or even worse yet, frozen lemonade. These things all get in the way of not only tasting a great wine drink, but also highlighting it by over complicating it. Usually, when we make it at home it’s just red wine, sliced oranges, chunks of apples, maybe grapes, and either rum, brandy or vodka. Actually, my favorite sangria is a Peach Sangria: simmer chunks of white and yellow peaches with a little sugar and water until they fall apart, pass them through a sieve and into a pitcher, mix in white wine, maybe a little vodka, and a bunch of sliced peaches. Let it all chill in the fridge for at least 3 hours—it’s the essence of summer. And I usually associate sangria with summer, mulled wines of course being their colder season counterparts, but Thanksgiving is upon us. Which leads me to cranberry sauce. Looking onto a Thanksgiving table, and not seeing a bowl of cranberry sauce breaks my heart. It’s not that I have a deep adoration for it, but it’s just something that I can’t see going without. Most years my family doesn’t make too much of a dent in the cranberry sauce; that never stops me from making two pounds of the stuff. 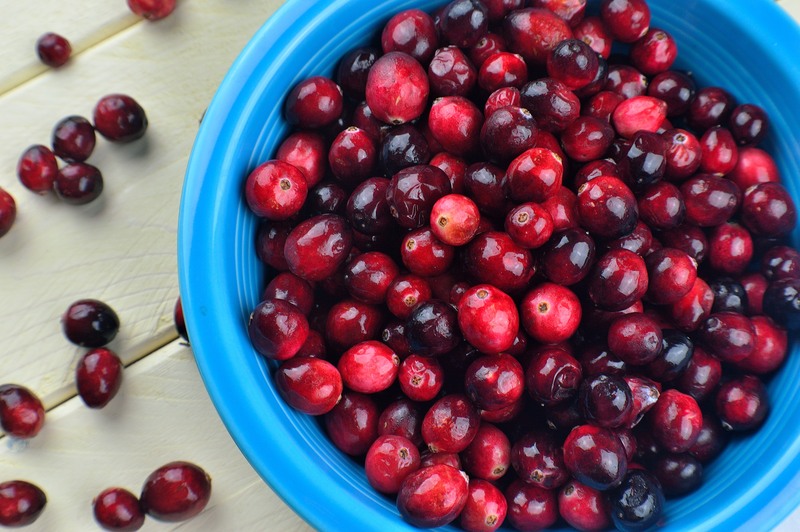 Usually I make mine with fresh or frozen cranberries that I simmer in a little sugar and water until they pop. I mix it up from there, though; some years I’ll add chopped apples or pears, some I’ll put in fresh orange zest and juice, some I’ll grate in fresh ginger and a bruised cinnamon stick—the list goes on, and can go even further. But you can really only eat so much of it, right? This year I decided to try a different approach—with sangria. This way, you can not only get a great holiday cocktail on the table, but also have your cranberry sauce, too. 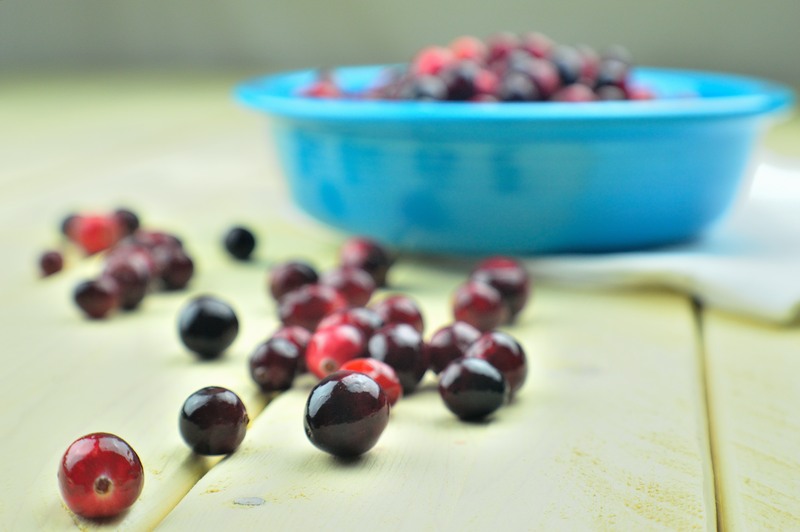 Essentially, you make a simple syrup of cranberries (fresh or frozen), orange peel, fresh ginger, some sugar, and water. Bring it to a boil and simmer for about 10 minutes, or the cranberries pop. Strain this into a pitcher with the juice of the orange that you’ve peeled, some cranberry juice, vodka, sliced oranges, and some more cranberries. Mix in some white wine, cover, and chill in the fridge for at least 3 hours. As for the wine I think that Pinot Grigio is a good choice; it’s not as dry and oaky as something like a chardonnay, but it’s not as sweet as a Riesling, or a Moscato, god forbid. You want something with a slight sweetness to help counteract the tart and almost bitterness of the cranberries but not something so sweet that it’d be better suited for feeding hummingbirds. Once it’s chilled it’s ready to serve—and I think 4 servings is pretty good, though you could get 6 easily. And of course, this can be doubled or tripled just as easily provided you have a pitcher large enough to accommodate. Give this a try this Thanksgiving—I promise you won’t regret it! And there’s a lot more Thanksgiving recipes on the way! Don’t miss out—follow me on BLOGLOVIN’ to keep up! Your favorite Thanksgiving cranberry sauce takes center stage with a little liquid courage. Tart and sweet, this is the perfect cocktail for your Thanksgiving table. 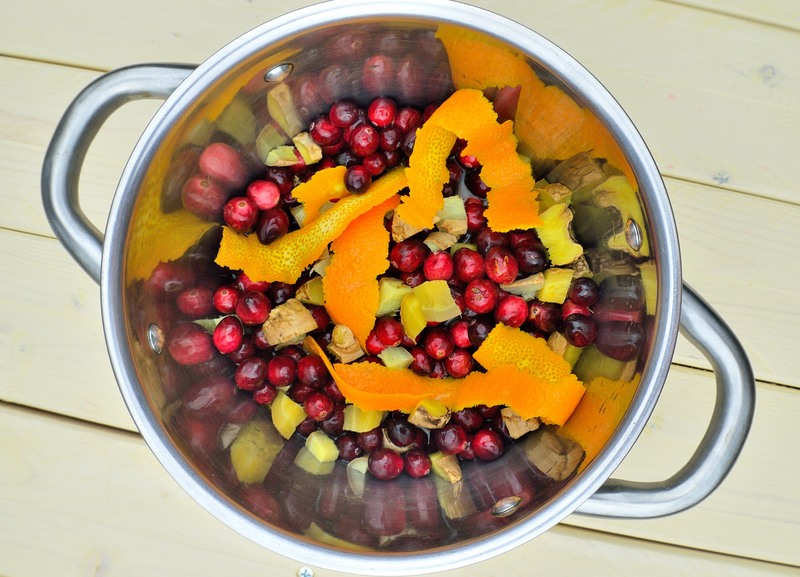 Combine 6 ounces of cranberries, chopped ginger, sugar, water and peel of one orange in a sauce pan (2-quart minimum). Place over medium heat and bring to a boil. Reduce the heat to low and simmer for 10 minutes, or until the cranberries pop and the sugar is dissolved. Leave this to cool slightly before straining it through a fine mesh sieve and into your pitcher. If it's thickened too much from cooling, stir in the cranberry juice before straining. 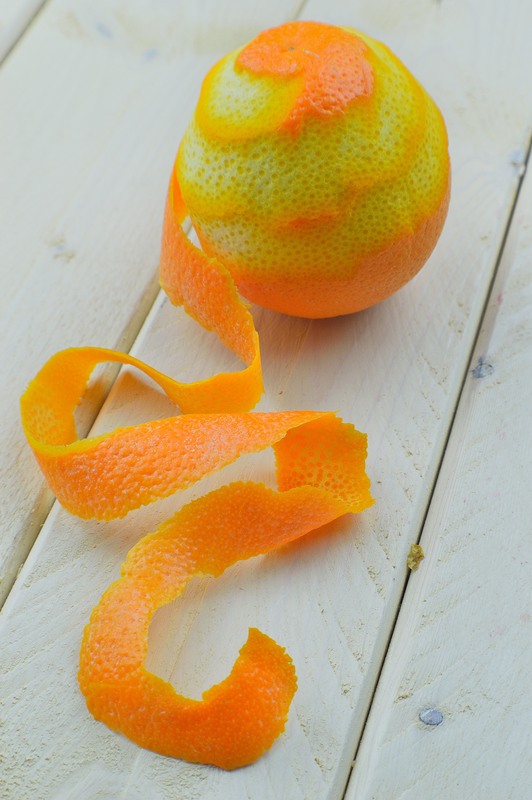 Juice the orange that you've peeled into the pitcher, too--you should have about 1/2 cup. 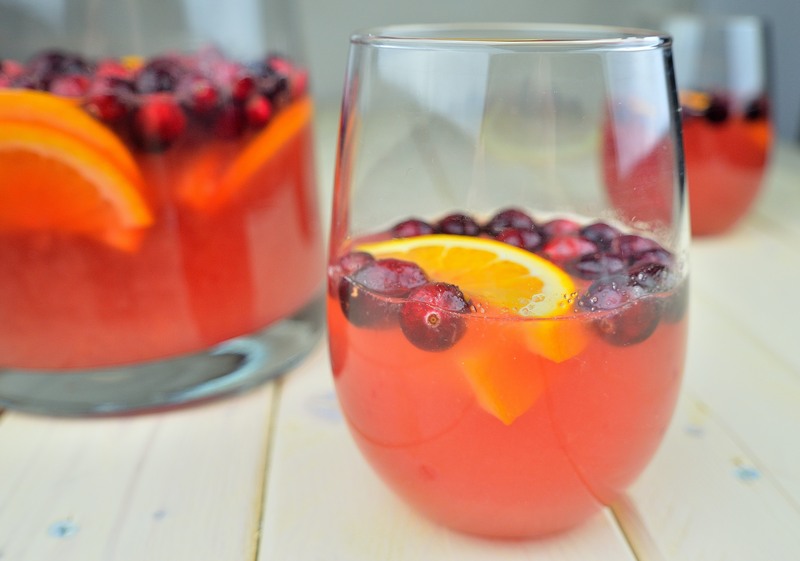 Slice the remaining orange into half moons and put these half moons, along with the remaining 3 ounces of cranberries, vodka and wine into the pitcher. Stir to combine, cover, and chill in the fridge for at least 3 hours before serving. 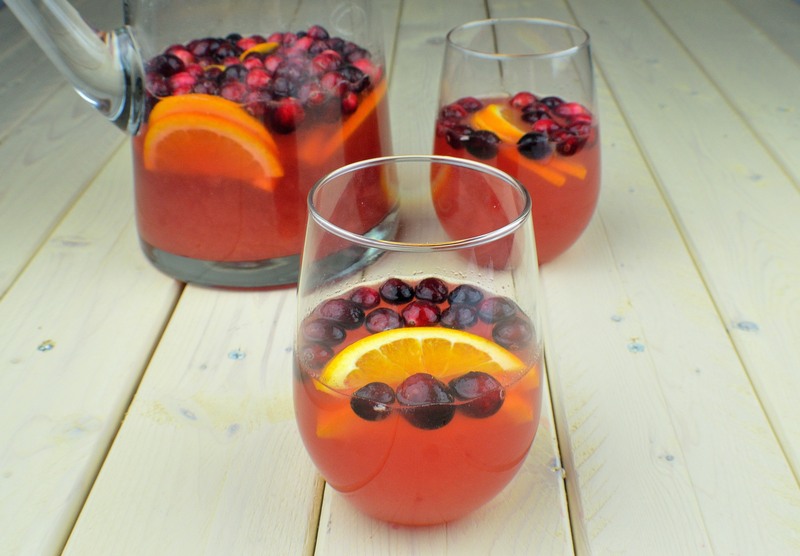 You can make the sangria 1 - 2 days in advance. Just be sure to keep it covered.